We have t-shirts for sale! £19, including UK postage (we’ll have to ask for a little more for overseas delivery). 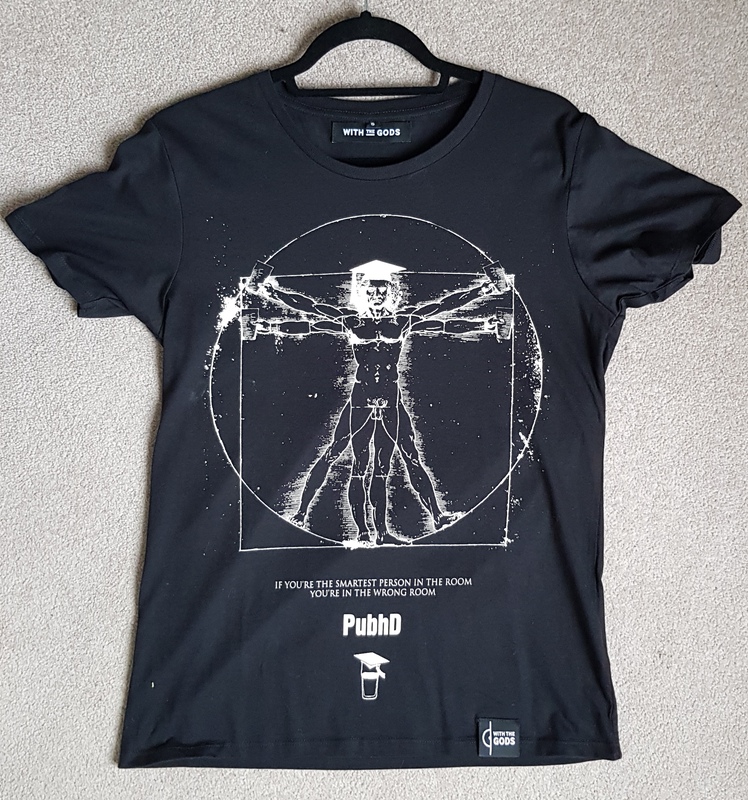 We fund the hosting and equipment for the PodhD podcast through the sales of these t-shirts. Get in touch if you’d like to buy one. 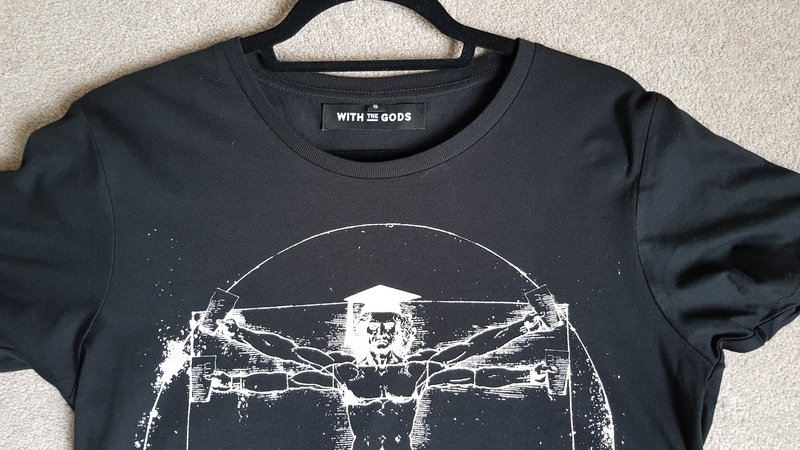 The t-shirts are high-quality garments designed by our friends at With The Gods. 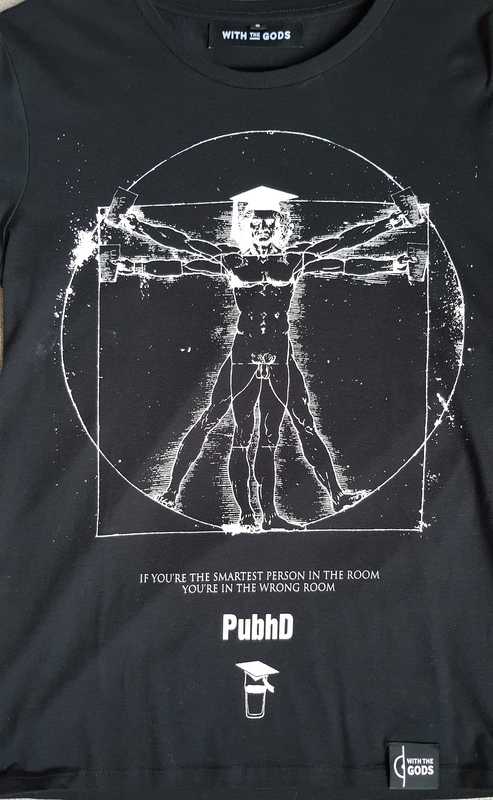 The quote is from Regan and sums up what PubhD is all about – learning something amazing at every event!